Imagine your customers being able to enjoy steaming hot papads while they are still fresh. Also, imagine being able to make papads on a massive scale without any delays. Instead of going to the market a thousand times to purchase papads, why not prepare them at your own restaurant? Welcome to the world of technology that makes it possible for chefs to easily prepare their customers’ favourite items without having to leave their kitchens. 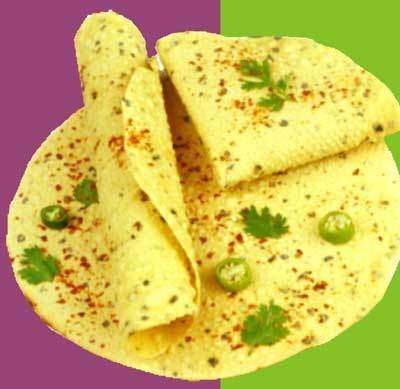 Papad is served as an appetiser with many Indian foods all over India and if it can be made en masse, then there is nothing like it. A machine that can make papadams at 40 units per hour or more will be extremely useful to the Indian commercial kitchens. All you would need to do is add the sheets of papadams to the machine and it will cut them into the right shape and flatten them for you. Of course, you would need to get some other machine for flour kneading and roll making,mixing the papad dough, and making the papads into sheets. Whether it is for festive occasions that you are making papads or for serving your customers throughout the day, this is the best papad making machine in India for your papadam making needs. Of course, you would need to get not just a good but the best equipment for preparing papadams for your restaurant. The machinery would either need to be ISO certified or if not, you would need to look for some other factors in it such as manufacturing standards and company policies. Before you can invest in the machinery, also make sure that they are food grade.Also, once you invest in the machinery, you can rest assured that you would get consistently good quality papads. Buy machinery that is available at competitive prices so that you do not have to break your bank. Even if you want this machine for your home, you can get it without any hassles. This will simplify the process of making papads if you have many guests visiting you on a daily basis. Due to the demand for Indian food within as well as outside India, it is imperative that you get machines that make papad making easier for you as well as for the others workingat your restaurant. You can even get the machines customised as per your requirements. This will help you save a lot of time and labour. Ask for certain special features and find out how to operate them easily. The outputs yielded by these machines would be quite high as compared to the other papad making machines. The papad making machines may be heavy duty but make sure that you do not overuse them so that they do not get damaged faster. Maintaining them is also easy. All you would need to do is clean them as much as possible and oil them if needed.